Ferguson Photography and Design offers full website design, hosting, and search engine optimization services. We will design a brand new website for your business, or redesign and modernize your existing website. We offer standards compliant websites, animations (HTML5 or Flash) and e-commerce website design. Websites designed for optimal search engine (Google) rankings. We will host your website, or work with your current provider. CONTENT is the best place to start in planning your website. What do you want your website visitors to see and and do? An important concept to understand before we delve far into this topic: Websites can and should be treated like a restaurant's "Specials Board". They should be changed regularly. Creating a website is not like ordering 20,000 printed catalogs. You aren't "stuck" with the same catalog for the next 18 months. You can (and should) change a website anytime you have something new to say or show or offer. Content (what your visitors see and do) determines what type of website you need. Many businesses simply need to present text and still images (photographs, charts, logo, illustrations) and provide contact info (email link, phone number, address). Ferguson Photography and Design can design small, clean, reasonably priced websites for these customers. Other businesses want to include animated effects (things that move and dance), slide shows (automatically changing static picture shows) or zoom images (the ability to zoom into or out of detailed images). For these customers we offer custom websites. If you intend to sell directly from your website via credit card transactions, we also offer complete e-commerce websites. Content is also the primary key to getting a good search placement. "Search Engine Optimization" (getting a good placement on the Google or other search page) is a complex subject. Click to read more about Search Engine Optimization. Your ADDRESS is the web name that customers use to find you, www.YourName.com for example. This address is also called a "URL". You must register and buy this name. We can work with your existing web address or arrange to get you a new one. 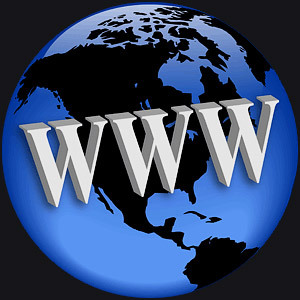 Click to read more about website addresses and URLs. Your web HOST is the service that takes your finished website and "broadcasts" it to the entire world wide web. We can work with your existing web host or arrange to get you a new one. Click to read more about hosting options.